ABC Television. 1964. Producer/Director: Bill Eldridge. LP (ST)	Columbia. 33-OSX-7754. (m). 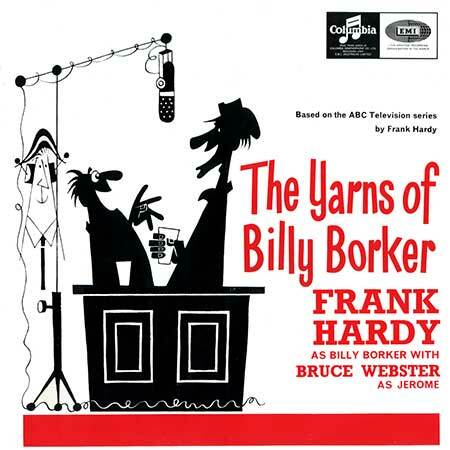 Frank Hardy as Billy Borker with Bruce Webster as Jerome. This record was made possible by the co-operation of the Australian Broadcasting Commission, and the publishers, A. H. and A. W. Reed. The Ballard Of Billy Borker. (2:55). v: Alex Hood, Don Andrews, George Golla, Reg Robinson. The World’s Worst Worrier. (4:37). How Sam Loxton Was Caught At Square Leg. (3:58). Rank For Three Days And Nights. (3:54).